The Uhans Note 4 sports a CNC-machined alloy chassis that somewhat brings Xiaomi’s own Note 4 to mind. It looks good for the price, albeit on the thicker side at almost 10 mm. The weight is about 188 grams. It shouldn’t be very difficult using with one hand. Just like its more popular rival, the Uhans Note 4 sports an IPS display measuring 5.5 inches diagonally. It only falls short in resolution at 1,280 x 720 pixels, compared to the other’s Full HD (1080p) resolution. The screen features full lamination and 2.5D curved glass. Uhans Note 4 offers decent value for money, but it is not one of those that offers you dual camera. the phone packs a 13MP shooter with f/2.0 aperture on the rear. This features autofocus and supposedly comes with dual-LED flash. There is also a 5MP selfie camera with flash in the package. It is impressive to learn the Uhans Note 4 actually offers 32 GB of onboard storage. It takes up to 128GB microSD card for expansion. Performance wise, Uhans Note 4 is no match for the Xiaomi Redmi Note 4 it has its sight on. It only carries a quad-core MediaTek MT6737 processor when the other boasts an octa-core Qualcomm Snapdragon 625. The Cortex-A53 CPU has its speeds maxing at just 1.3 GHz and pairs with a Mali-T720 GPU. The RAM that provides support is ample at 3 GB. Android 7.0 Nougat OS ships with the phone. It has a fingerprint scanner on the rear, just like the Redmi Note 4. The battery is almost the same as well, with the Uhans Note 4 packing a 4,000mAh Li-Polymer battery that should deliver long runtime. It supposedly supports 5V/2A charging output. Uhans Note 4 offers hybrid dual SIM slots, which means one can take either a Nano SIM or a microSD card at a time. There is LTE (Cat. 4) for super fast mobile data speeds. Uhans Note 4 is not officially available in Nigeria and Kenya, but you can buy the smartphone from Jumia in both countries. 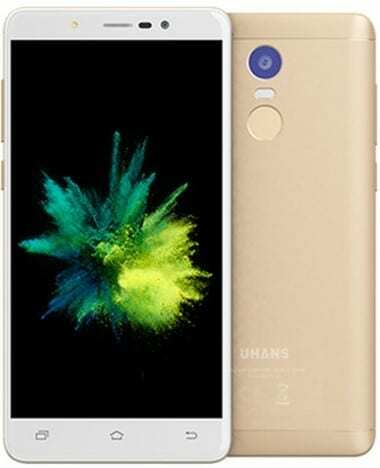 Uhans Note 4 Price in Nigeria ranges from 42,100 Naira to 55,000 Naira. Price of the Uhans Note 4 in Kenya starts at around 14,800 KSh.